My idea of the perfect Santiago Saturday involves a trip to my favorite Chilean market, Mercado La Vega. 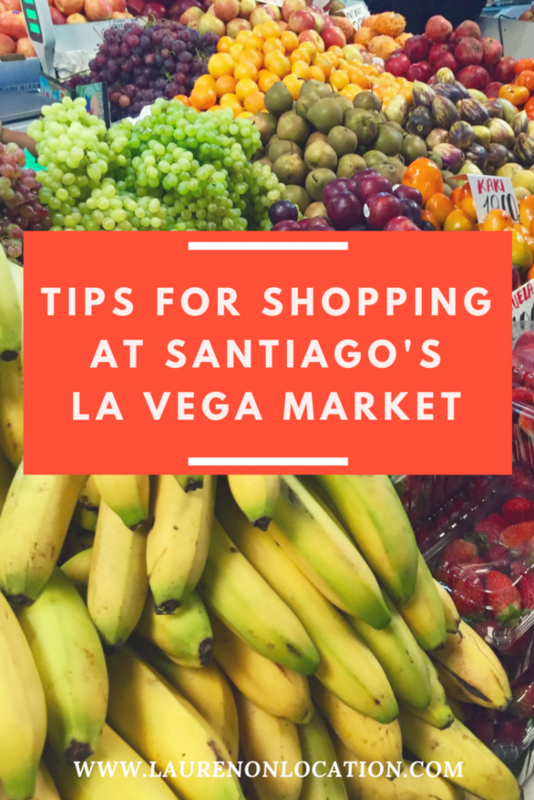 Visiting Mercado La Vega, or La Vega Market, is one activity I absolutely would not miss on any trip to Santiago. It is a complete cultural and sensory experience- unlike anything you’re likely to encounter back home. The market is MASSIVE, crowded and often pretty chaotic, but I wouldn’t have it any other way. On the surface, La Vega may come off as a bit rough around the edges, but if you give her a real chance, you’ll quickly realize she’s also beautifully bright, warmly welcoming and bursting with character. 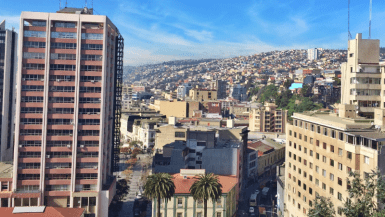 Living in my little bubble in the outskirts of Santiago, in the “posh,” modern Las Condes neighborhood, I almost forget that I’m living in South America during my day-to-day routine. Not only does visiting La Vega give me a little reminder that I am in fact living abroad, but it also helps me appreciate the diversity of the different neighborhoods in Santiago and also the tranquility of my own neighborhood on the other side of the city. 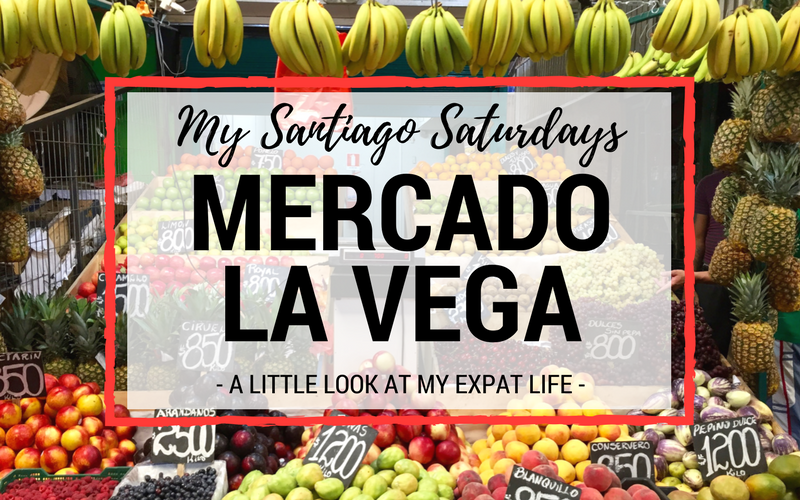 While La Vega is nowhere near around the corner from my apartment in Las Condes, every other Saturday, my roommate Kaitlyn and I make the trip. 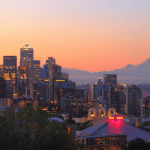 It takes us just under an hour using public transportation, which may seem like quite the journey just to stock up on groceries, but it’s every bit worth it. La Vega not only has the freshest and best selection of produce and as well as other products but also is by far the cheapest market I’ve found in the entire city of Santiago. A bi-weekly haul is plenty to hold us over until our next trip and we spend a fraction of what we would at our neighborhood grocery store. Even though the market is pretty far, we justify going by making a morning out of it. 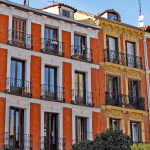 We usually start and end our experience in the nearby Tirso de Molina market. First we go for a fresh fruit juice to energize us through our shopping and later, we end with a victorious and ridiculously cheap market lunch. Our bi-weekly La Vega trips have become my favorite part of my weekend and something I always look forward to. Lovin’ that Autumn in Santiago still means short-sleeves and sunnies! .. And fresh fruit juice! ?☀️ . Wearing: @acljewels ? If you’re planning on visiting La Vega for your first time, here are some tips. You can also scroll down to the bottom of this page for a quick video giving you an inside look at the market. Go mentally prepared for the experience. Like I mentioned before, La Vega can get pretty chaotic. Be prepared to get a bit down and dirty, bargain, be bumped into and probably hooted and hollered at. If you’re mentally ready though, you’ll do just fine. Go as early as possible. There are really no set “hours” at La Vega. I have friends who work in the food & beverage industry who head over as early as 5 am (when restaurants and local vendors usually scour the market to get first pick). A pretty universal rule of thumb when it comes to local markets- the earlier the better. The earlier you go the better the selection, the happier the vendors and believe it or not, the lower the prices. Also on weekends, some stands close around lunch time. Don’t be afraid to venture deep into the market. While it might be tempting to stick around the outskirts of La Vega market (less people, less crowded and a bit less chaotic), the real magic happens once you venture further inside. 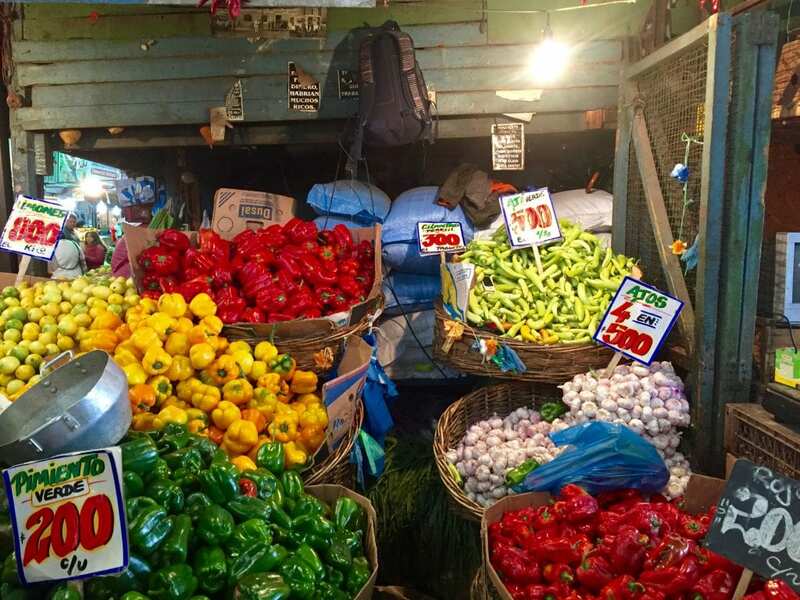 You know what they say-“go hard or go home.” Seriously though, if you came to La Vega for fresh produce and cheap prices, the inner stalls is where you’ll find them. Don’t hesitate to go on and make your way in there. It’s all part of the experience. Don’t settle for the first good thing you see. You can always make your way back to a previous stall, so don’t hesitate to shop around first. Too many times I’ve bought a large amount of something that seemed near perfect, only to find fresher and cheaper later on. Do your best to make friends with the vendors. Now that I’m a seasoned “La Vega regular,” I have certain stands that I frequent. I’ve become friends with the vendors at these stands and they’ll often give me their best produce, cut me a deals or throw in a little something something extra for being a loyal customer. Be sure to shop based on the season. The selection of produce in La Vega greatly varies based on the current season. While this might not be the most convenient for your cooking, it makes the most sense to shop for produce based on what locally fresh. For example, I LOVE mangos- borderline obsessed with them. BUT right now in La Vega they are stupidly expensive and not even close to flavorful. For now, I’ll have to stick to frozen ..
Be aware- of your surroundings, your belongings, and –if you’re in a group- your friends. That being said, nothing bad has ever happened to me at La Vega. Still, I’m always cautious with my wallet, phone, etc. As in any crowded area in Santiago, it’s wise to be extra careful. La Vega is in no way dangerous, but like I said, it’s HUGE and usually very crowded. There are also known to be sneaky pickpockets around. Chances are that if you’re reading this and planning to head to La Vega for your first time, you’re a foreigner. You may not think so, but that will be obvious. Just use common sense and, try not to lose your friends among the many rows of stalls. You’d be surprised how easy it is to get separated. Mercado de Abastos Tirso de Molina is another market, just a few blocks away from La Vega nearer to the Mapocho river. “Tirso” is a different type of market and one that I also visit very often. It’s smaller, but more spacious, a bit more organized and usually, there are far fewer people. In summary- Tirso’s tamer. If you’re not one for chaotic crowds, Tirso de Molina may be more your scene. The only downside to this market- the prices are a bit higher and there’s less of a selection. Still, sometimes I’m just not in the mood to deal with all the chaos that comes along with a trip to La Vega and I stick to Tirso. 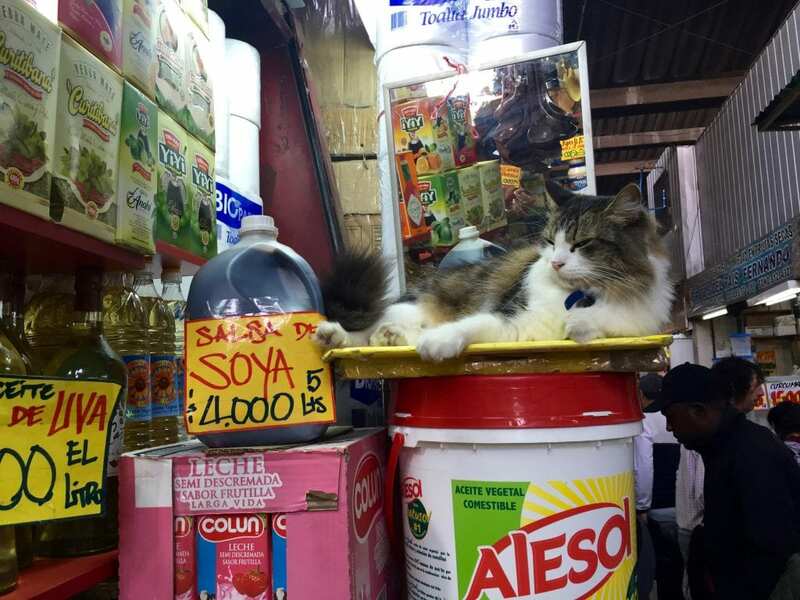 The prices are still way better than the supermarket! Try out the restaurants upstairs. The second floor of the Tirso market is home to a variety of small open air retaurants, set up like a food court. 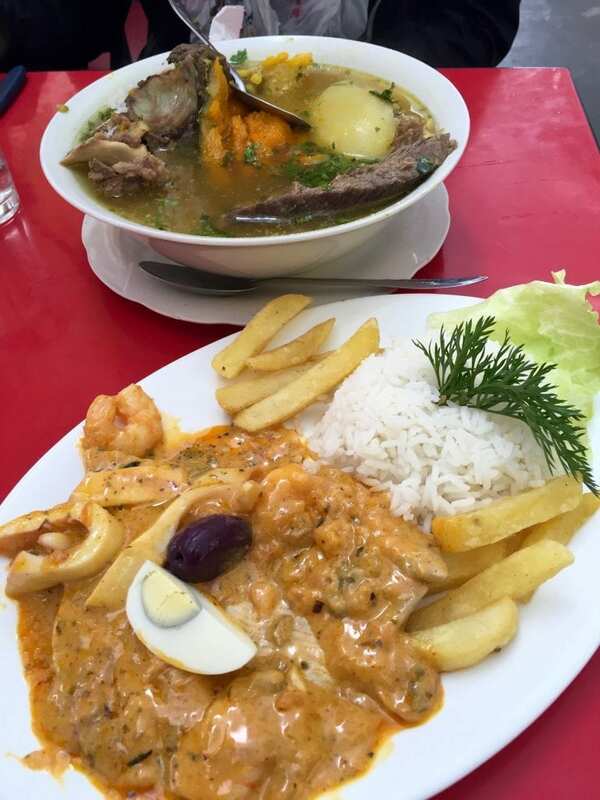 You can find a range of international cuisines from Peruvian, Colombian, Thai and of course traditional Chilean. All are extremely good, incredibly fresh and the best part- stupidly cheap. Order a fresh fruit juice at one of the stands downstairs. There are various stands all around the bottom floor of Tirso that whip up various combinations of fresh fruit juices in a flash. BUT beware of the sugar. If you’d like your juice without two whopping spoonfuls of sugar, you’ll have to tell them beforehand. Simply say “sin-azucar” when ordering. My personal favorite juice is- ‘frambuesa-chirimoya’ or custard apple and raspberry. Absolutely delicious! 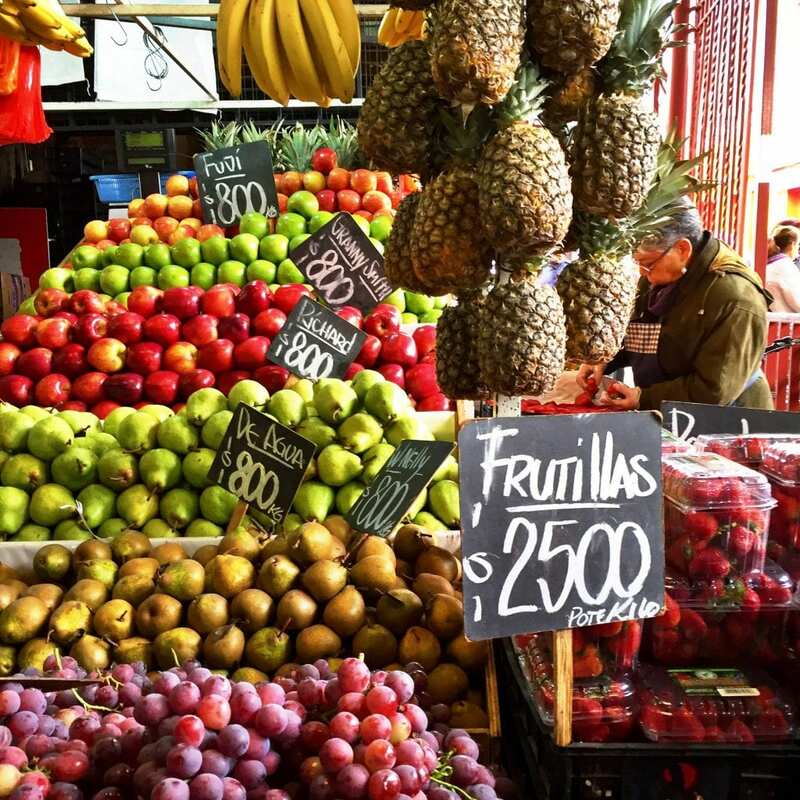 Mercado La Vega is located in the southern part of Santiago’s Recoleta neighborhood, close to the Mapocho River. 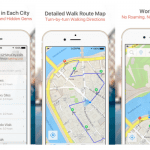 You can easily get there by public transportation. You can pop the location into GoogleMaps: Antonia López de Bello 760, Recoleta. I just love markets where you can also have a bite to eat. The big market of Budapest is pretty similar: fresh produce on the ground floor and in the basement. Restaurants on the 1st level. Love that. And aww, quite kitty snuck up on the groceries!! This seriously sounds like so much fun, and I wish that we had markets like this close to where I live! One of my favorite parts of our London trip was a visit to Borough Market and I loved Pike’s Place Market in Seattle as well. It’s just so full of life and so much fun too, which is exactly how La Vega looks! That’s awesome that you’ve already become friends with the vendors too! I loveeee markets, especially trying all of the foods and juices! I need to keep your tip in mind about not buying the first good thing you see – I always seem to do that, and end up regretting it. Ahhhhhh so many memories!!! 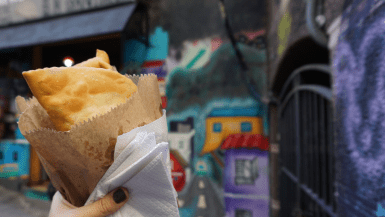 When I was in Santiago, I was just a couple of blocks from La Vega and La Tirso de Molina, which was our go-to spot for lunch every day! I seriously went to eat at the 2nd floor food court daily and made friends with the stall owners who I always visited. Gosh some of the food was so good! Such wonderful shots!! Love the Toca? one. Yay for now market shopping (wherever you are in the world!) It’s always so much more fresh, colourful and cheap – yum! I can’t get over how colourful it all is! And delicious-looking. I love markets – it’s always such a thrill when you find something interesting there and a great price! Also, it’s funny how sometimes when you live abroad for a period of time, that you forget that you’re abroad, eh? It’s so easy to get caught up in the day-to-day! I love the hustle and chaos of markets, oh and free samples!! haha. Will love to visit this one!! Looks delicious and healthy. I would imagine the reason nothing bad has happened to you, like pick pockets, IS because you are careful. I love mercados so much!! 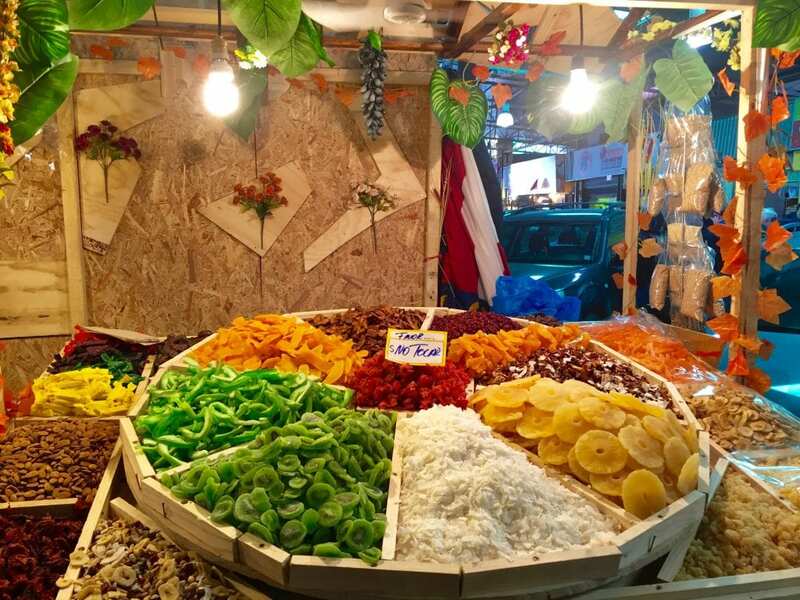 The dried fruit looks so tasty!! It’s one of my favorite snacks to pick up in markets when I’m abroad. Love that you’re such a regular that you have loyal customer status with some of the vendors! Mmm I love food markets! 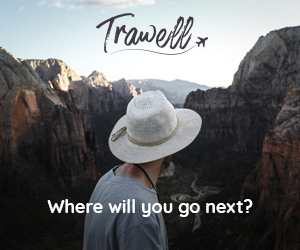 This sounds like an amazing experience… so good that there is such lovely fresh produce, even if you have to travel for it! 1. Grow up. 2. Go screw as many men as you like. 3. Get a real job. These loser women trying to make 4 cents writing as if they have any talent or anyone cares what they are doing is comical. Embarrassing..american women. They are the only ones that do not realize they are considered the very worst in the world now at just about everything.